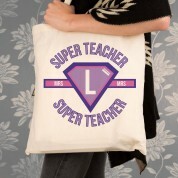 A great gift idea for a super teacher! 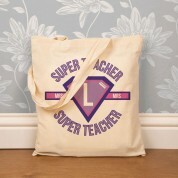 This bold, colourful bag features a feminine, pink and purple superhero logo. Inside the logo reads the teachers last initial, with her title at either side. The perfect way to say "thank you for all your help". 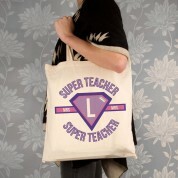 Alternatively it can be given at Christmas or the end of term. 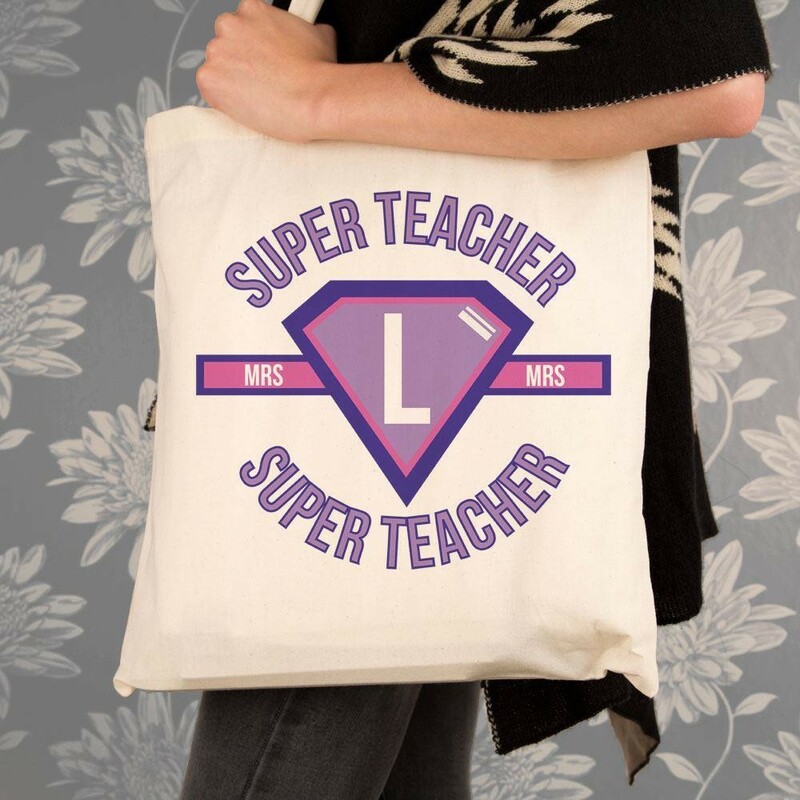 A memento she can use for years to remind them of her special students!